Setting up test cases for code that manage data can be challenging but it's an important skill to reliably test your code. You might have heard of the setup and teardown methods in unittest. In pytest you use fixtures and as you will discover in this article they are actually not that hard to set up. Fixtures have been labelled pytest's killer feature so let's explore them in this article using a practical example. Why do you want fixtures? If your tests need to work on data you typically need to set them up. This is often a process that has to be repeated and independent for each test. This often leads to duplicate code which is "number one in the stink parade" (Kent Beck and Martin Fowler). The @pytest.fixture decorator provides an easy yet powerful way to setup and teardown resources. You can then pass these defined fixture objects into your test functions as input arguments. You want each test to be independent, something that you can enforce by running your tests in random order. Fixtures are also referred to as dependency injections which you can read more about here. Let's look at some actual code next. To define a teardown use the def fin(): ... + request.addfinalizer(fin) construct to do the required cleanup after each test. You can also use yield (see pytest docs). 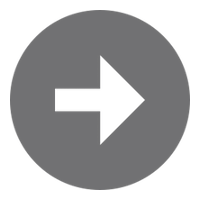 You can access this code here. items, if not provided use an empty list"""
"""Print a simple table of cart items with total at the end"""
cart, or when we exceed MAX_CRAVINGS"""
generator returning matching Item namedtuples"""
"""Calculate total due value of cart"""
"""Checks if I have too many cravings in my cart """
not support indexing' when trying to index it"""
Using __len__ and __getitem__ to make the class iterable (we discussed dunder methods in depth in this guest article). Thanks to this Groceries now supports indexing for example (slicing would work too). So when I later instantiate a cart object from it, I can do cart.product instead of cart._items.product, etc. cart.add(croissants)  # wait till next week! Right off the bat you see that annoying setup repetition in each test: cart = Groceries! We will tackle this shortly. @pytest.mark.parametrize to run a test with a different set of input and expected values. This addresses the same need to keep your code slim avoiding duplication. """Setup code to create a groceries cart object with 6 items in it"""
In the first test I left the Groceries instantiation in because I wanted to create it with an empty items list (you can probably parametrize the fixture but this will do for now). In the tests that use other arguments like @pytest.mark.parametrize and capfd (in test_search_item and test_show_items respectively), the fixture argument comes first! Nice: 12 lines of test code less! I only covered the basics so far. However this should get you started using fixtures in your tests. Next I will highlight 2 more features of fixtures. How to share your fixture across tests in a class, module or session? What happened?! The timing is right, there is a sleep of 1 second, but I introduced random test failures! The tests became tainted because it changed the same mutable cart object in various tests, not resetting it back to its initial state (like it did when scope was function). So use this with caution. In this case we should just use the default function scope because the setup is very fast (14 passed in 0.14 seconds remember?). But to further demo the scope feature let's make this example work. The second and last feature I want to highlight. You can add fixtures to a predefined file called conftest.py. Fixtures in this file will be automatically discovered upon running pytest, no import needed. """Note no fixture here to test an empty cart creation"""
Again note that I did not have to import conftest.py, nice! This should give you all you need to start using fixtures in your pytest code. You will save time, be more content and most importantly produce more robust test code! There is more to fixtures though, checkout the well written pytest docs. Also Brian Okken's book covers them extensively. Let us know in the comments below if you came up with interesting use cases or you hit a wall? 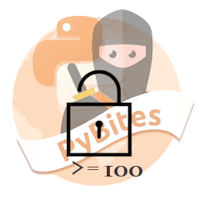 You will see fixtures increasingly used in our Bites of Py test code and I am happy we covered it here now, because it is one of the things that makes pytest great!